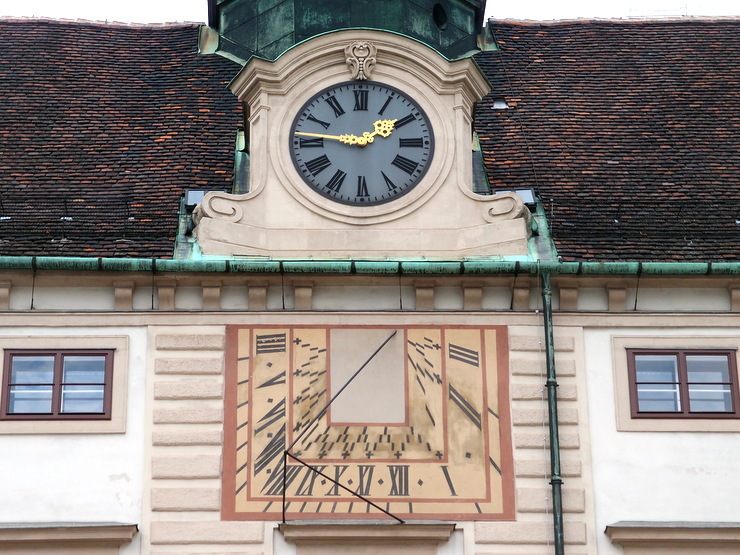 This sundial you can see at the Amalienburg in Vienna. The Amalienburg is a wing of the Hofburg area and is named after Wilhelmine Amalia of Brunswick-Lüneburg. This entry was posted in Sundials and tagged Austria, Vienna by Travelwriticus. Bookmark the permalink.